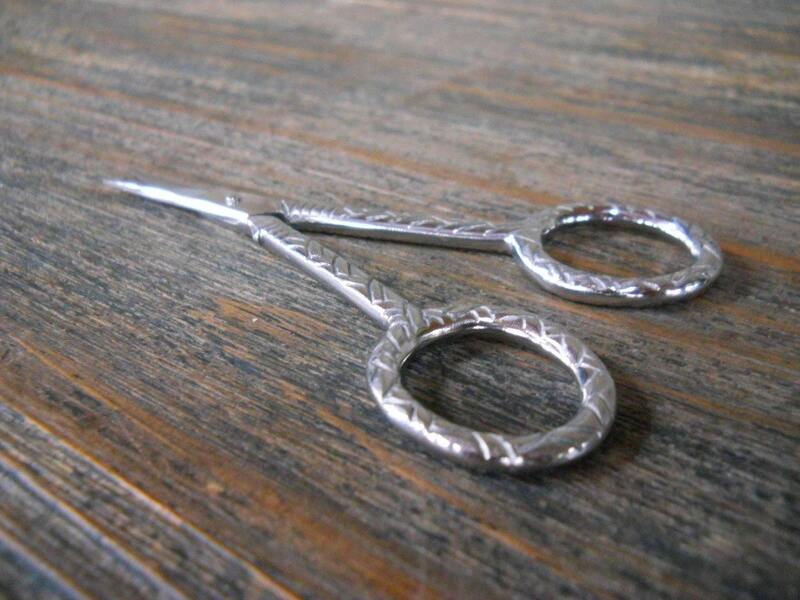 For sale are these very nice woven patterned Scissors. (light pewter color). They are from Kelmscott Designs. Measuring approximately 3.75" long and 2" wide from handle to handle. 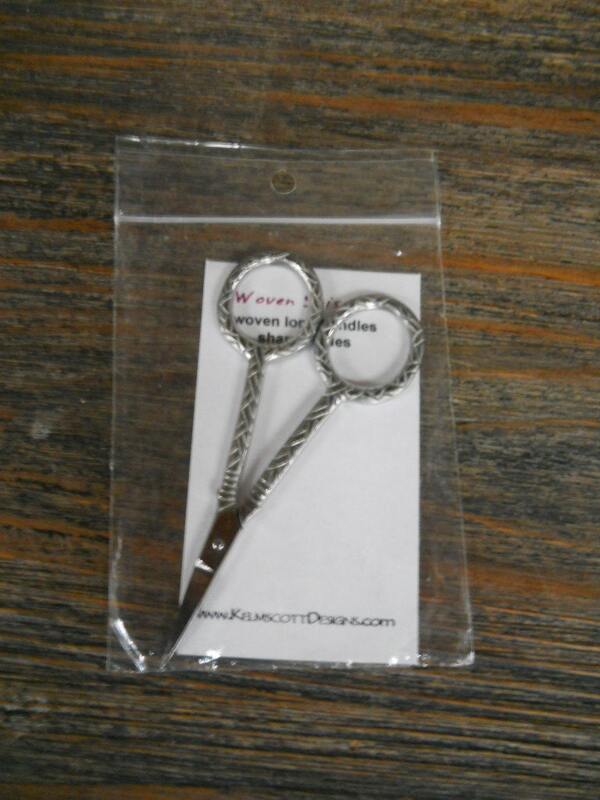 Great for Needlework, Knitting or Sewing or Scissors Collector! 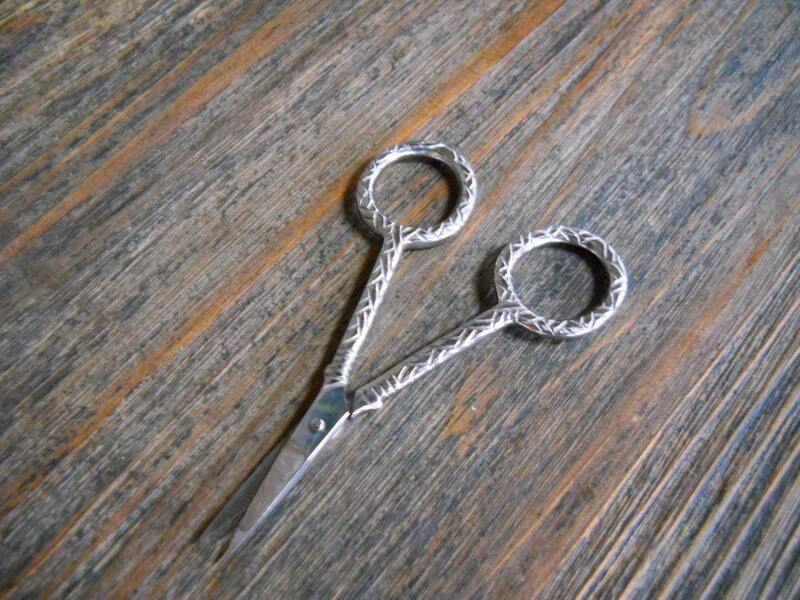 What a great gift these would be for the very crafty person in your life!